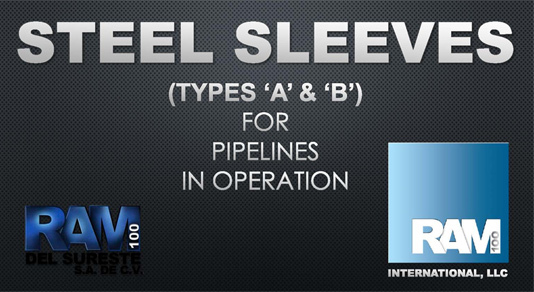 RAMFILL-MC steel reinforcement sleeves are full encirclement sleeves formed by two rolled halves of steel then welded to each other and if required, to the pipe being repaired and reinforced. RAMFILL-MC repair systems are manufactured under the international standards ANSI/ASME B31.4 and B31.8 from carbon-steel plates or carbon-steel pipes, in any specification, diameter and thickness, and according to the client’s request or project requirements. 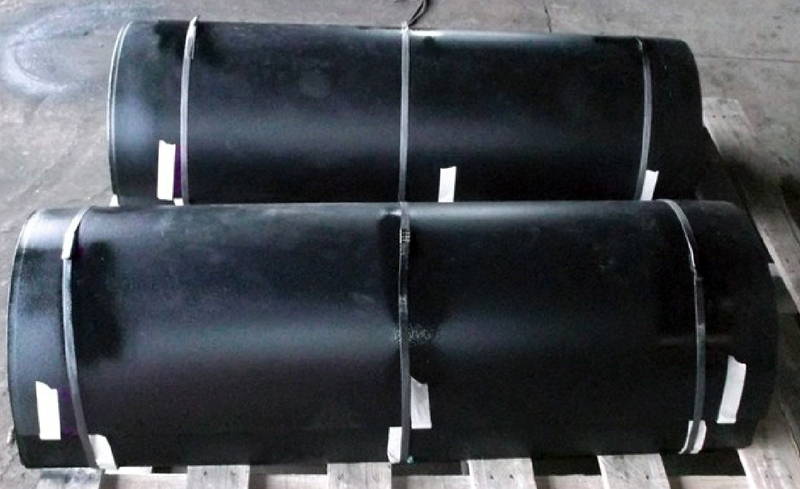 RAMFILL-MC sleeves are easy and fast to install, and because of our manufacturing processes comply with tolerances and guidelines outlined in API/ANSI/ASME standards, RAMFILL-MC sleeves can be installed in operating pipelines. RAMFILL-MC repair systems can be installed in pipelines that must be reinforced for safety such as those pipeline systems located in High Consequence Areas. RAMFILL-MC repair systems can be converted to a Type ‘B’ repair system when welded to a pipe through a qualified welding procedure with certified welders. When this is required, a radiographic or ultrasonic inspection must be performed to the axial and longitudinal welds. After performing a mechanical integrity analysis of the deficiency identified during the inspection, and according to the applied assessment method, in order to reinforce the pipeline, a pipeline repair alternative must be selected using as primary criteria, the recovery of mechanical resistance suffered by loss of material, and up to reaching the rupture strength of the original conditions of the pipe. The repair and analysis urgency depend on the severity of the flaw, its location, depth, length, direction, strategic value of the pipeline and threat to the environment and population, as well as the potential consequences of the deficiency. 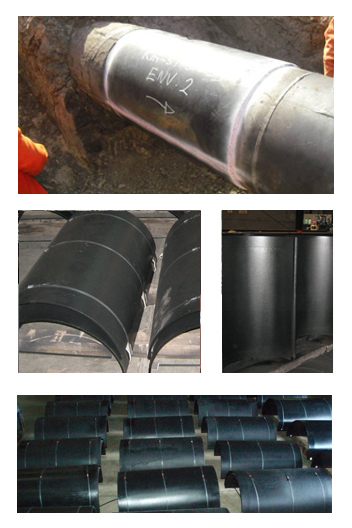 The most common size of RAMFILL-MC sleeves is of 1.0 m in length in all API diameters, from ASMI plate with the same or superior elasticity of the pipeline to be reinforced. If needed, it can be manufactured up to 3.0 m in length. RAMFILL-MC repair systems are easily installed as each is manufactured to fit perfectly to the pipeline being repaired. 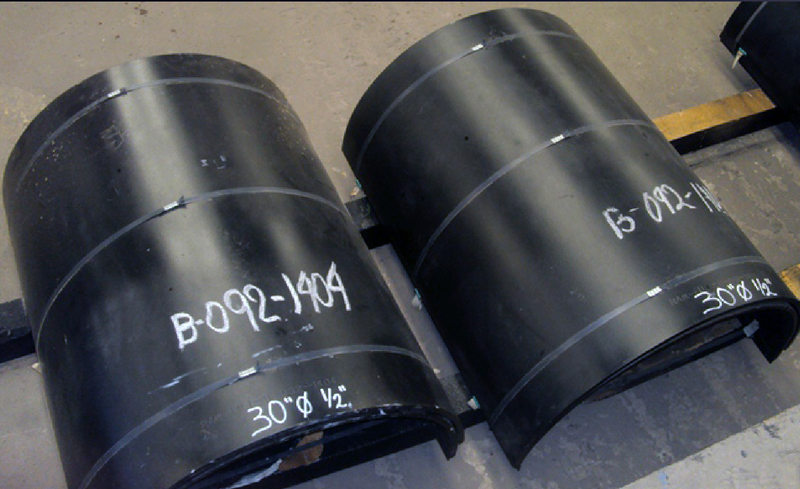 Each halve is delivered with a beveled section on the longitudinal ends to rest evenly on the pipeline leaving an adequate space for the welding deposit. 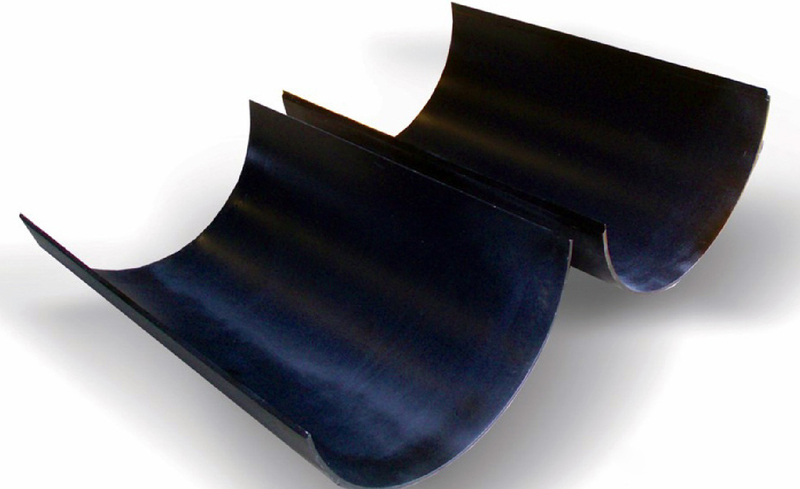 These beveled sections also prevent dripping and possible contamination of the welding when mixed with RAM-100 epoxy resin when applied as anti-corrosive mechanical protection in the residual gap.